The quest of making the Home digital has reached your brushing style! And now, it’s time to brush smartly with Kolibree Ara. 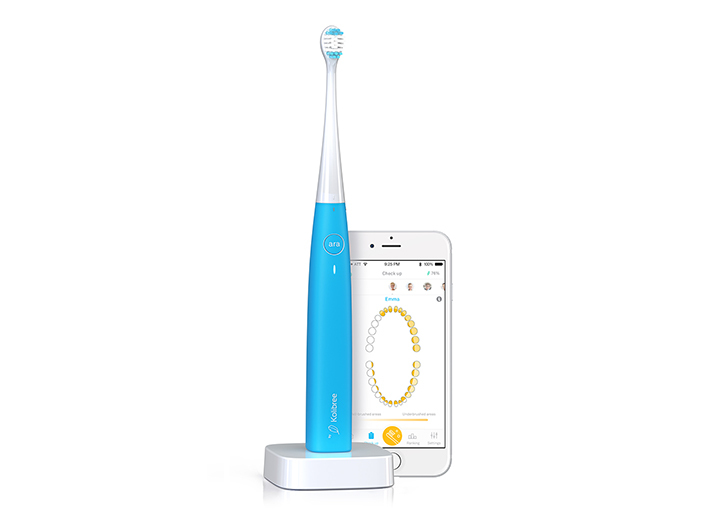 While some smart toothbrushes already exist, like the app connected brush of Oral-B, the specialty of this toothbrush that makes it unique is its artificial intelligence. 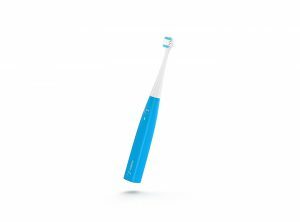 This toothbrush doesn’t require an external application to record data while brushing it can store all the info from its bevy of motion sensors in offline mode, in its low power processor built into it, syncing up with the app next time you load it. “Patented deep learning algorithms are embedded directly inside the toothbrush on a low-power processor. Raw data from the sensors runs through the processor, enabling the system to learn your habits and refine accuracy the more it’s used”, Kolibree’s press release reads. The main component of this smart Brush is that it can analyze your behavior and provide more-personalized feedback regarding your poor hygiene, either into the app or a personalized e-mail. All this is made possible by using the built-in AI in it. The smart brush for your Home! Ara’s advanced offline mode is a new step for the Internet of Things (IoT) in oral health. It’s the culmination of studying the behaviors of more than 10,000 people who used a Kolibree toothbrush over a three-year period. The company has learned that children are motivated to brush their teeth—and that they learn to brush better—when enticed by a mobile game, such as Kolibree’s Go Pirate. Adults, on the other hand, don’t always need to be as engaged with an app. Sometimes, adults are too busy or aren’t in the mood to pull out a smartphone whenever it’s time to brush their teeth, and this is where Ara comes into play. Some other features include, 3-D motion sensors, accelerometer, gyroscope and magnetometer.It also has built in Bluetooth 4.0 (Bluetooth Low Energy) for easy connection and synchronization. Ara’s gentle vibrations and rounded bristles to protect teeth and gums. And out of it all it weighs only 2.5ounces and packs a 2-week battery life for easy travel! The Ara is available to preorder now for a temporary price of $80 and will cost $130 when it goes on sale and ships this March. An enthusiastic teenager who loves and follows the latest trends in technology and is constantly learning new things!